Do you want a better education or a job that makes more money? We are here to help you earn your General Education Diploma (GED) or Nontraditional High School Diploma. Your GED is a huge accomplishment that opens doors to higher earning careers! Your high school diploma does, too! There are several flexible classes and programs in Adult Education at your local community college that teach GED classes. We work around your schedule to teach the reading, math, science and social studies sections of the GED Test. Why do I need a GED? Many employers, including the military, require that you have a high school diploma or its equivalent (the GED) in order to work. You also need the GED or diploma to start college. If you are at least 19 and have at least 10 high school credit hours, you may be eligible for the High School Diploma Option. Contact your local Adult Education Provider for more information. The GED test costs $120 ($30 per section), but ACCS has the See4Free program that allows you to take a GED Ready practice test for free. If you pass, then we’ll pay for you to take the real thing. You do not have to pay for all the tests at one time. 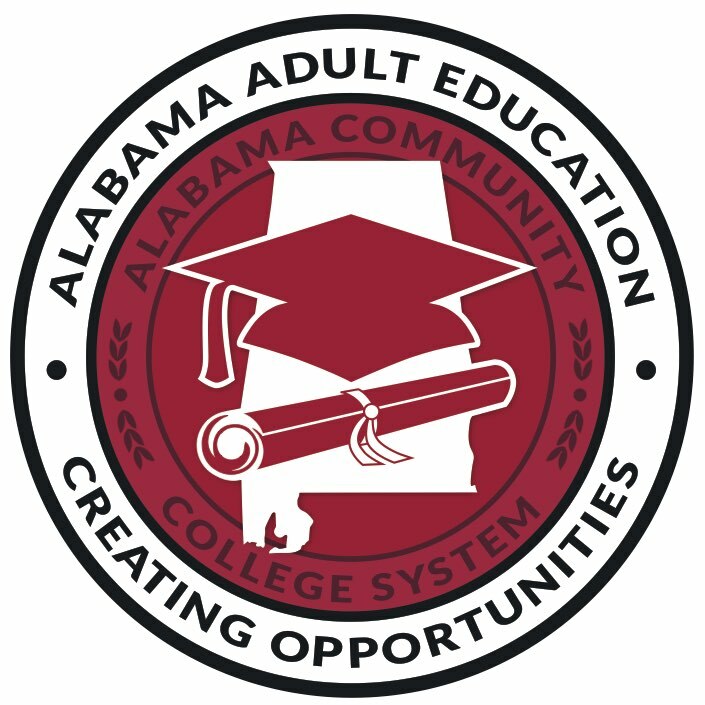 Students age 17 must be an Alabama resident, must have a completed a Student Exit Interview and have a notarized letter from a parent or legal guardian that grants permission to take the GED test. You must physically turn in the documentation at one of our test sites before testing. Students age 16 must have a Certificate of Exemption issued by the school district’s superintendent, have a notarized letter from a parent or legal guardian that grants permission to take the GED test and must make a minimum score on the TABE Test or the GED Ready Mathematical Reasoning and Reasoning Through Language Arts tests. You must physically turn in the documentation at one of our test sites before testing. Any Alabama resident who is 16 or 17 years old and exited a private or church school or a private tutor program must present a notarized letter from the parent or legal guardian that the applicant has permission to take the test. The letter must include evidence of school withdrawal from the school or program. You must physically turn in the documentation at one of our test sites before testing. Do I have to go to class? You could take the test without taking a class, but, we’re ready and waiting to help you prepare. Best of all, our classes are free of charge! Contact your local Adult Education provider to learn more about the benefits of studying in a class before attempting the GED test. If you want to take the test without taking classes, you just need to register at one of our testing sites online. On-site registration is not available. Visit www.GED.com or call 1-877-EXAM-GED (392-6433). You can pay with a credit or debit card. You will need a valid photo ID on the day you test. Can I retake it if I fail? Yes, and we are here for you as long as you need. There’s no waiting period in Alabama if you do not pass a subject area test the first time, and there’s no limit to how many times you can test in a year. There is a 60-day waiting period if you take a test subject three times. It includes multiple choice, gridding, graphing and essay question formats in four key areas of education: Reading Through Language Arts (150 minutes including a 10-minute break), Mathematical Reasoning (115 minutes), Science (90 minutes) and Social Studies (90 minutes). It takes about seven hours to complete at one time, but you don’t have to take it all at one time if you’re not ready! In order to pass, you must score 145 in each subject area. Not every question is worth the same amount of points. You can take the GED at the same Adult Education program where you take classes. Group and personal testing is available. There are also several GED testing centers throughout the state. Contact your Adult Education provider for more information. How long do I wait for scores? You can find out the same day within three hours of completing the test. Yes. If you need accommodations, you can request them when you register for the test. You should receive information in your email about accommodations once you have registered. What’s next when I pass after your program? Endless opportunity! We don’t stop supporting you after you pass the GED. You can enroll at the community college to take your first college class free of charge, or you can enroll in several of our Ready to Work options that prepare you to make more money in a smart career choice. The opportunities are endless.